At Abcodia we strive to change the way serum biomarkers are used to detect chronic cancer. We specialize in investigating the dynamic change of biomarkers over a cancer lifecycle. Through longitudinal profiling of biomarkers, we detect change in a person’s baseline level of a particular biomarker to detect change at the earliest timepoint. By doing this, we improve the performance of diagnostic tests, reducing false positives and false negatives and detecting cancer earlier. 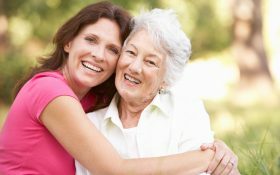 For its particular interest in the early detection and screening of cancer, Abcodia has exclusive commercial access to the UK Longitudinal Women’s Cohort (UKLWC), which is a unique longitudinal biobank of serum, derived from a population of 202,000 initially cancer-free postmenopausal women. This biobank allows us and our collaborators to profile how biomarkers change as cancer develop. This resource removes the significant hurdles of time and cost of a de novo sample collection that would normally be required to perform such studies. Our focus is cancer. 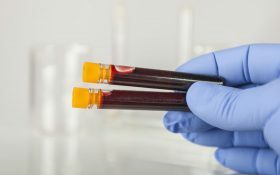 Abcodia is the provider of The ROCA® Test, a blood test that assesses a woman’s risk of having ovarian cancer. The ROCA Test is available through private clinicians UK. For more information, visit our UK site. We are also developing other longitudinal algorithm-based screening tests for other cancers, focusing on colorectal, lung, and pancreatic cancer. 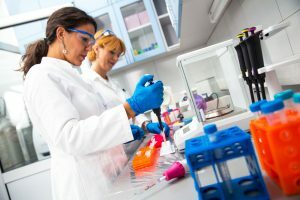 Through our exclusive access to a unique longitudinal population serum biobank, Abcodia supports a multitude of companies and organizations that are looking to develop diagnostic tests for the early detection of cancer. We support all aspects of study design and supply samples to our collaborators for analysis.